Mai Nguyen is NYFC’s first California Organizer and focuses on fostering farmer-led policy and action that engages legislators and the public for an equitable, regenerative food system. Nguyen is an heirloom grain and Southeast Asian crop farmer who has long balanced farming and farmer organizing. They co-founded the Asian American Farmers Alliance, California Grain Campaign, and California Farmer Justice Collaborative to foster robust, inclusive, equitable farm economies. They also helped California farmers develop producer and worker cooperatives. In addition to the farmer’s perspective, Nguyen sees the food system from multiple angles, having coordinated a farmers’ market, opened a direct-sourcing restaurant, managed a food distribution business, planned direct farmer grants, and created food access programs. 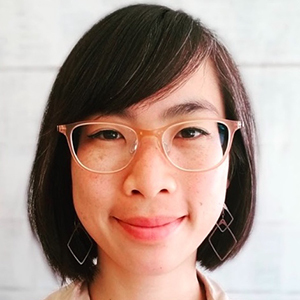 Nguyen is a 2018 Grist 50 Fixer, 2018 Berkeley Food Institute Changemaker, and 2018 BALLE Fellow. They attained a bachelor’s degree at UC Berkeley and master’s degree at the University of Toronto.